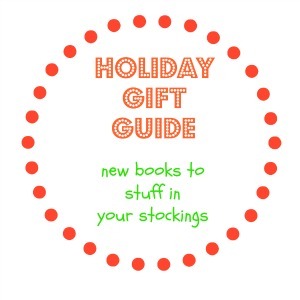 I always try to stuff the stockings at our house with books. I also try to sneak in a book to all of my nephews along with their gift. I'm probably known as that crazy Aunt that always gives us a book! This year, I was sorting through some new books from Tiger Tales. I thought it would be fun to share my top four favorites of the Tiger Tales fall line as a holiday gift guide. I still haven't choosen all of the books I'll be giving away this year, if you have some to add to my holiday gift guide, I'd love your input! The Really, Really, Really Big Dinosaur by Richard Byrne In this story, a little dinosaur is being bullied by a "big" dinosaur. The little dinosaur stands up to the big dinosaur by claiming to have back up in the form of a best friend who is a really, really big dinosaur. As the big dinosaur continues to harass, the reader begins to realize the really, really big dinosaur is there and has been there all along, hidden in the pictures! The dinosaur friends then team up to teach the "big" dinosaur a lesson and help him to be kinder. This is a really imaginative story, the illustrations are great, it's funny, and once kids discover the secret of the story, they'll want to read it over and over again! Counting Birds by Jing Jing Tsong is a super fun counting book. Each bird lands in the tree with his own distinct bird call. The calls are cummulative and children will love hearing them build through out the story. New birds join the tree one by one until a visitor arrives to scare them all away. The story is fun to read. The repeating sounds encourage active participation from children. Preschool concepts such as counting and colors are introduced in an engaging way. The best part though, are the cool modern illustrations! This book would make a beautiful gift or an attractive addition to your home library. It's Holiday Time by Elizabeth Bennett. For little family members, padded board books are a favorite gift each year. I especially love books like It's Holiday Time that incorporate glitter and texture through out. This is a great way to engage very young learners with the book! In this story, a family is busily preparing for the holidays by shopping, baking and wrapping, caroling, visiting, and giving. The rhyming text and the soft illustrations make this book a warm reminder of the joy of holiday time! Big Book of My World by Kali Stileman is not only a word book that introduces early concepts, it is also an interactive activity book. The pictures are clear and well labeled. Children are able to classify, label, count, and more! The illustrations are modern and engaging. On every page there is at least one owl "hidden" on the page. Both of my boys, ages 2 and 4 love this book! Will you tuck in books under the tree this year? Lets all share our favorites and create a working holiday gift guide. I could totally use some help on this one. Leave the title(s) you are choosing (Or chose last year), the age of the child, and whether they are a boy or a girl. I can not wait for your recommendations! Disclaimer: The books reviewed in this post were provided free to me by Tiger Tales in exchange for my honest opinion. I was not compensated to write this post. Some really great ideas for Christmas-fab post. I would say #1 (really, really big dinosaur) would be better for an older preschooler but 2 and 3- Counting Birds and Holiday Time- would be great for a one year old. I like reference books for Christmas presents - like Usborne Atlas for Children or Usborne First Encyclopedia. They can be used over and over again over time.